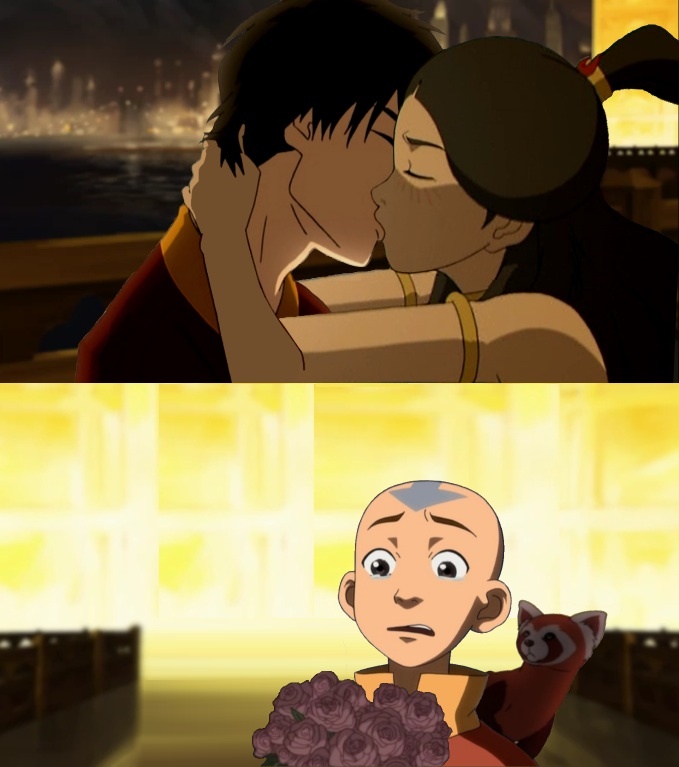 This kiss... Poor Aang. HD Wallpaper and background images in the Awatara - ang Huling Airbender club tagged: photo aang katara zuko tlok. But this is edited very well!